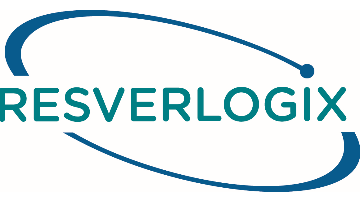 Director, Financial Reporting | Resverlogix Corp.
Resverlogix is seeking an experienced Director, Financial Reporting to join their Calgary Head Office Accounting team. The company offers a competitive salary and benefits including a competitive health and dental plan, matched up to 3% RRSP plan, stock option plan, and on-going professional development. Resverlogix common shares trade on the Toronto Stock Exchange (TSX:RVX). The company has offices in Calgary and San Francisco. Resverlogix is a late-stage clinical biotechnology company. Resverlogix is developing an advanced epigenetic drug called apabetalone for the treatment of high-risk cardiovascular disease patients who also have type 2 diabetes mellitus and low high-density lipoprotein (HDL). Apabetalone (previously known as RVX-208) is a first-in-class, safe and affordable epigenetic drug for heart disease, diabetes and chronic kidney disease. Apabetalone is currently in a Phase 3 clinical trial, which is the final stage of drug testing before a drug enters the market. As the Director, Financial Reporting, you will report to the Senior Director, Finance and Administration, and will work closely with the finance team and operations in being the key point person in financial reporting, internal controls over financial reporting (ICFR) and the budgeting process. Assist with financial reporting to outside stakeholders including preparation of two sets of consolidated financial statements and MD&As. Prepare quarterly consolidated financial statements for two sets of consolidations (Resverlogix Corp. Consolidated and Zenith Capital Corp. Consolidated) and separate annual financials for Zenith subsidiary (Zenith Epigenetics Ltd.). Prepare support for all notes to financial statements (such as commitments, shareholder's equity, related party transactions, etc.). Prepare working papers (such as cash flow, balance sheet account reconciliations, warrant liability revaluations, debt accretion schedules, share based payment working papers, royalty preferred shares liability, etc.). Review working papers prepared by others (capital asset continuity schedules, accruals, etc). Perform accounting standards research and complete related internal accounting memos. Liaise with external auditors to satisfy audit requests for quarterly reviews and year end audits. Complete financial analysis (income statement and balance sheet variance analysis) for internal (board package) and external (audit PBC item) uses. Involved in project management for system or process improvements, related to improving the effectiveness of internal controls and efficiency of accounting processes, as required. Involved with internal controls over financial reporting (ICFR) and disclosure controls and procedures (DC&P), including annual internal control certification. Maintain internal controls documentation and satisfy internal control testing requirements by external consultants. Maintain "CFO Partner" internal controls database. Prepare annual budgets for two consolidated entities (for Resverlogix Corp. Consolidated and Zenith Capital Corp. Consolidated). Includes compiling input from all operational departments and preparing the board communications for budget approvals. Monitor costs (to budget). Assist with quarterly actual to budget analysis. Assist with financial projections, as required. Assist with taxation, including assisting with the preparation of the 5 annual tax returns and annual FIT provisions/note disclosure. Assist with regulatory matters such as information circulars, TSX Form 1 filings, etc. Assist with payroll (prepare payroll as a backup) and other HR duties. Review each of the payrolls (for 5 entities) prior to submission. Review/post payables batches to ensure appropriate coding of expenses and approval limits followed. Assist with accounts payable cycle (including reviewing purchase order requisitions from operations against contract terms and correct accounting treatment), as requested. Assist with cash disbursements (such as cheque runs and wire transfers), as requested. Co-manage the electronic employee expense report management system. Prepare journal entries and support, as requested, including share based payments, warrant liabilities, debt accretion, tax provisions (US current taxes and Alberta SR&ED provisions). Involved in maintenance of the Optrack database (share based payment transactions). Assist with administration of warrants, stock options and restricted stock units. Completion of surveys from various government bodies. Assist with Microsoft Dynamics (Great Plains) administration. Possess a professional accounting designation (CPA, CA preferred). Strong accounting and analytical ability. Experience with accounting software is required (Great Plains (Microsoft Dynamics) experience is considered an asset). Advanced knowledge and proficiency of Microsoft Office products, especially MS Excel. Proven work experience as a Director, Financial Reporting or similar role. Team player. Strong communications skills (verbal and written). A hard worker who has the ability to handle pressure and meet tight deadlines for themselves and their team in an environment with a high volume of activity, while being detailed, organized and thorough. Possesses strong time-management abilities. Submit your resume by quoting "Director, Financial Reporting" in the subject line to careers@resverlogix.com by Friday January 18, 2019. Your submission will be reviewed carefully, however, only those selected for an interview will be contacted.